A neat original piece of "black out poetry" that I made a long time ago. And recently rediscovered in my possessions. 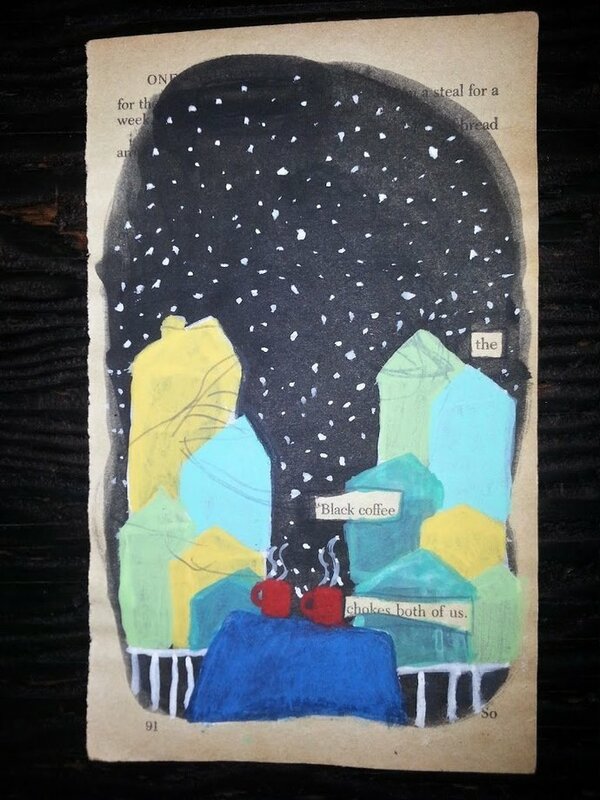 Most of the page has been blacked out leaving the phrase "the black coffee chokes both of us"
On a table rest 2 steaming coffee cups with a city view in blue n yellow covered by a starry sky. Painted with acrylics on a piece of vintage paper from an old cop novel "One Police Plaza". Measures Approximately: 4 inches wide x 7 inches tall.